The FCC just announced a new version of their Census Block Conversions API. 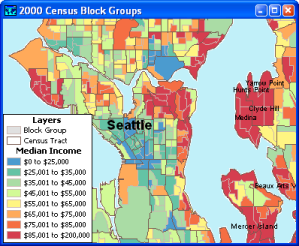 The API will now allow the block ID return for 2000, 2009, or 2010 Census geography. By default, 2010 will be returned, but optional switches can be used to return previous year IDs. Using the Census Block Conversions API developers can pass a Latitude and Longitude and any parameters, the API will return the full ID (FIPS) of the Census block of that point, the County, and the State in JSON, JSONP, or XML format. Most major dataset in the US Federal Government use some form of Census geography, the lowest level of that geography is the Census Block. Providing this search allows developers to build applications that provide a robust connectivity profile based upon a user’s individual location, which can be used to lookup other related government information associated to location. In an election year, I can see some serious benefit of querying other government documents based upon a users address, longitude and latitude, county and state. But having this type of visibility into government and municipal data, based on location is valuable any time.